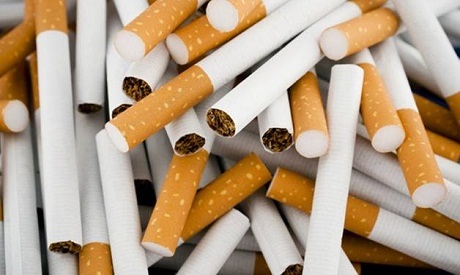 The Egyptian cabinet's Information and Decision Support Center (IDSC) dismissed on Thursday news reports the government is planning to raise cigarette and tobacco prices in order to boost tax revenues. Earlier this week, Reuters reported that the government is aiming to increase revenues from taxes on tobacco by EGP 7 billion ($397.50 million) in the 2017/18 fiscal year, which ends in July 2018. However, the IDSC says that "taxes on cigarettes and tobacco will stay as they are for the time being." Some 20.2 percent of Egyptians above the age of 15 are smokers, according to 2016 statistics. The cabinet also said that there is no intention to cut fuel subsidies or increase gasoline prices this fiscal year. Egypt has been increasing taxes and cutting subsidies to narrow its budget deficit as part of economic reforms tied to a $12 billion loan from the International Monetary Fund (IMF) aimed at boosting the economy. Prior to signing the IMF loan deal in November 2016, Egypt imposed a valued-added tax on nonessential goods. The last tax increase on cigarettes saw the price of packs that cost EGP 13 or less increase by EGP 2.75, packs that cost between EGP 13 and 23 increase by EGP 4.25, and packs that cost more than EGP 23 increase by EGP 5.25.